Have you ever caught yourself daydreaming about helping baby turtles find their way into the ocean? Maybe you can talk for hours about the way we treat our oceans and what we can do better. The list of reasons to study marine science could probably reach the bottom of Mariana’s Trench, but no matter the reason, your perfect school helps you feed your love of all things oceanic in order to become the marine scientist you’ve always dreamt of becoming. After evaluating each school’s Marine Science degree options, whether or not it borders a large body of water, the accessibility of research and the availability of nearby opportunities, we built a list of the best 10 colleges for marine biology just for you. Check out the 10 best colleges for marine biology majors. Marine biology students look beyond Seattle’s rainy days and look forward to hitting the bay to study its ecosystems. Aside from the marine biology major, UW also offers majors in oceanography and aquatic and fishery sciences. Beyond their location on the coast of Puget Sound, UW owns a marine sciences field station, Friday Harbor Laboratories, located just a few miles north of campus on San Juan Island. Instead of chasing after research opportunities until your junior year, UW lets you jump right in (literally) as a first year. “The findings from one of the research projects that I conducted at the lab this summer is being presented at a statewide naturalist conference in November, which I never would have thought to be an attainable goal for myself as early as my sophomore year at UW,” sophomore Emily Poulin said. Opportunities like this usually don’t just fall into your lap, but UW makes them nothing short of accessible. UCLA may offer 337 undergraduate and graduate degree programs, but that doesn’t stop its marine biology program from standing out. 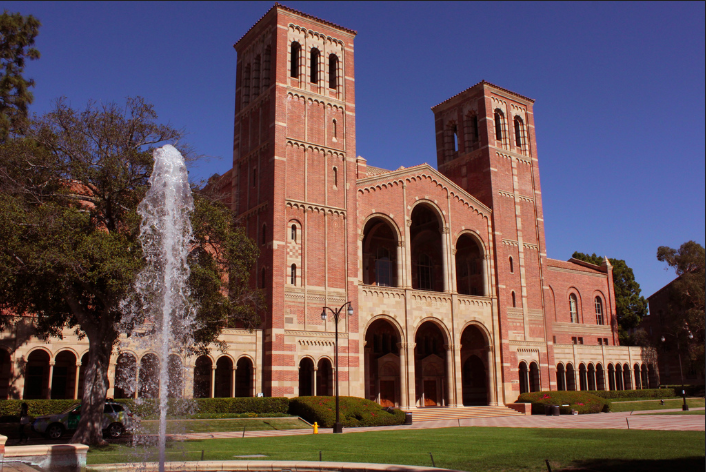 With connections to numerous experiential learning and research opportunities, UCLA students get the experience they need to succeed in the workforce after graduation. “One unique thing UCLA does to help students advance in the field of marine biology is the UCLA Marine Biology Quarter,” senior Nury Molina said. All marine biology majors take part in MBQ, a quarter spent designing and executing your own research project under the guidance of faculty members. “I participated in the Marine Biology Quarter in Australia where we researched stingray distributions at North Stradbroke Island for several weeks and wrote up a paper and presented on Heron Island,” Molina said. MBQ lets students learn what a career in marine biology would actually entail—something that you just won’t experience at other schools. UAS provides their marine science students with even more than a BS in marine biology or fisheries & ocean sciences. Any student, regardless of their affiliation with marine biology, can apply for the Undergraduate Research, Experiential & Creative Activities (URECA) program. Through URECA, students take part in creative extra-curricular research that they design themselves and execute under the eye of a faculty mentor. The university even awards each project (anything from creative writing to mapping to documentaries to typical lab research) up to $2,500 of funding if they have the need. Marine science students also get access to internships through their department. “There are many professors who offer research and internship opportunities here at UAS. Also, being so close to [the University of Alaska Fairbanks, College of Fisheries] offers great opportunities for undergrads to work with graduate-level students,” senior Madison Bargas said. Past UAS students have joined in on opportunities as hands-on as Forest Service positions on Prince of Wales Island and as prestigious as NASA-supported internships. Looking for something a little more specific than simply “marine biology?” UNE offers the usual BS or minor in marine bio as well as more specific options, such as a marine affairs BA or minor, an aquaculture BS or minor, a marine entrepreneurship BS and even a program called MARMAT—a double major in marine sciences and applied mathematics. Plus, it definitely doesn’t hurt that you can walk to the beach in just a couple of minutes. “Being right on [the] coast, it’s not only beautiful but also offers a lot of opportunities for experiential learning. I also loved the smaller size of the school—my class sizes are very small compared to a bigger state school, which has allowed me to get to know my professors very well,” senior Abigail Hayne said. UNE also holds the Center for Excellence in Marine Science, which offers student fellowships, research grants, projects and programs in their specialization of choice. CEMS even partners with some pretty impressive marine-based organizations and companies like United States Naval Academy, for students who want to take their marine education out to sea, and the Maine North Atlantic Development Office for the entrepreneurial student excited about marine policy. Tucked between the Rachel Carson National Wildlife Refuge and Saco Bay, UNE students get to live out their Moana, one-with-the-ocean dreams, while still getting a world class education. UM’s Rosenstiel School of Marine & Atmospheric Science encourages you to explore the many layers and subsets of the ocean. Beyond their degrees in marine affairs, marine biology & ecology, meteorology, oceanography and geographical sciences, UM offers the marine science dual major program. This program lets you explore the interdisciplinary aspect of marine science by combining it with the subject most interesting to you: biology, chemistry, computer science, geological science, microbiology & immunity, meteorology or physics. By studying marine science in the context of another subject, you open up your future to endless possibilities—we’re talking anything from hydrographer to animal behaviorist to environmental lawyer. UM also offers dynamic research opportunities; past topics include fish orientation, hurricane formation and coral reef conservation to name a few. The Rosenstiel School at UM encourages you to find what interests you and run with it. Professor Neil Hammerschlag, for example, will teach you all about sharks as the Director of the Shark Research & Conservation Program. Hammerschlag’s even been featured on Discovery Channel’s “Shark Week” three seasons in a row. Before you know it, you’ll find yourself diving into deep waters for a living or protecting our oceans from your seat in the Senate. CSU Monterey Bay students get to study marine biology next to one of the most dynamic bays in the country. Monterey Bay holds Monterey Canyon, one of the biggest underwater canyons in the world (think the Grand Canyon underwater, but twice as deep), as well as many marine species—even Gray and Humpback whales. CSU MB also owns the Institute of Applied Marine Ecology. IfAME strives to fill in the holes of our understanding when it comes to human interactions with marine ecological systems. With five different labs, including the Marine Landscape Ecology Lab and the Environmental Physiology Lab, IfAME not only provides CSU students with coveted research positions but also a clear idea of how to use their knowledge to better our planet—that’s a pretty sweet deal. Beyond the classroom, the Marine Science Club brings students together for networking events, coastal cleanup days and beach bonfires. Stony Brook marine science majors ditch the classroom for a semester and instead spend it in the water with the Semester by the Sea program. Students spend a semester at Stony Brook’s Southampton campus in Shinnecock Bay, trading in their lecture notes for hands-on experience and work on strengthening their field skills out on the water three to four days a week. “Our Marine Science Center [located at the Southampton campus] has a fleet of research vessels that take classes on weekly trips into Shinnecock Bay, the Peconic River and the greater Atlantic Ocean,” senior Courtney Stuart said. “This gives us young marine scientists plenty of opportunities to strengthen our research skills and learn how to use advanced research equipment—such as handhelds CTDs, D.O. meters, Profiling SeaBird CTDs, Van Dorn water samplers and more.” For the days spent on dry land, you’ll work in the Marine Science Center. The center aims to serve three purposes: education, research and outreach. By tying these three objectives together, Stony Brook students help their local ecosystems by including the surrounding community in their research and teaching them about their findings. The Oregon Ducks get more comfortable than their web-footed mascot in all things marine biology. As an undergrad, you would take classes at both the Eugene campus of the University of Oregon and the Charleston campus of OIMB, doubling your resources, research opportunities, support from faculty and chances to participate in hands-on learning. At UO, students learn the basics needed to study marine biology—chemistry, biology, math, physics and any general education courses. At OIMB, students get to dive deeper (pun intended) into the specifics by taking upper-level marine bio classes, conducting research and getting involved in the active local marine science community. The university requires students to study three or more full terms (fall, spring or summer) at OIMB. Something tells me that hardly feels like a chore. With extensive resources, countless research and internship opportunities and a unified passion for all things oceanic, the undergraduate experience at OIMB leaves no questions unanswered and no stones unturned. How would you feel about walking into class and finding… sharks? The students at CSU Long Beach have direct access to a shark lab (yes, real live sharks), a marine lab and the Long Beach Marine Institute. They also get to participate in the Catalina Semester, a semester of classes and research at the USC Wrigley Marine Science Center on Santa Catalina Island. “[In] addition to taking marine biology courses at the station, students develop and conduct an independent research project that they present to professors and peers at semesters end. Not only does this help students learn time management skills by balancing research and studying, but this also gives students a glimpse into what life as a research scientist will be like,” recent graduate Lisa Jane McWilliams said. Hands-on experience that extensive can be impossible to find for most marine bio students—but at CSU LB, it’s all right at your fingertips. Step outside your classroom and observe all the marine biological systems in the Gulf of Mexico at Eckerd College. The Sunshine State’s weather lets you study these ecosystems year-round at the Galbraith Marine Science Lab. At Eckerd you choose to focus in either Marine Biology, Marine Chemistry, Marine Geology or Marine Geophysics. Eckerd even offers research opportunities beyond working with a professor, like the Eckerd College Dolphin Project, which involves field research on the bottlenose dolphins in Boca Ciega Bay. 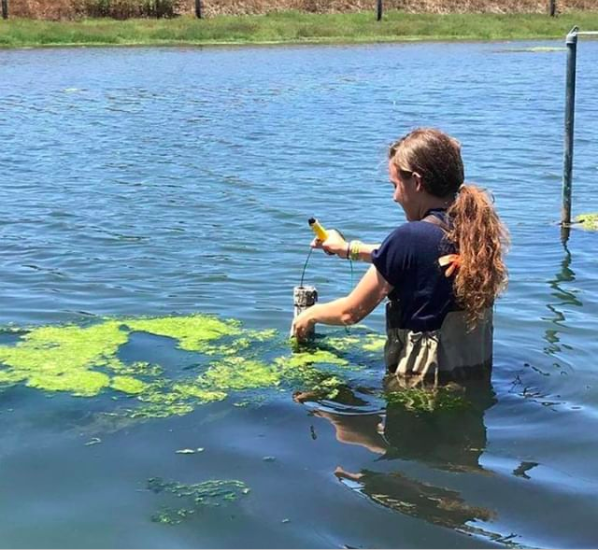 “I started doing research in Dr. Lessmann’s Wetland Restoration laboratory during the spring of my freshman year, and that first internship led to another research laboratory position and then to a fellowship in Bermuda the following summer,” junior Trisha Schranck said. “If Eckerd was not the small, tight-knit marine science community that is willing to employ undergraduates in research, my laboratory experience and professional preparedness would be severely limited.” They also offer the Galbraith Scholarship, a travel and housing fund for Eckerd students to spend a summer at the Bermuda Institute for Ocean Sciences as a research intern. The best part? Eckerd is only undergrads, so the opportunities are actually endless. “All of our Marine Science faculty conduct their own independent research, and because we do not have a graduate school at Eckerd College, [undergraduates] do not have to compete with graduate students for research opportunities,” senior Anjali Boyd said. Eckerd’s marine science program will get you where you need to go whether you want to make breakthroughs in invasive species, climate change, aquaculture and more.